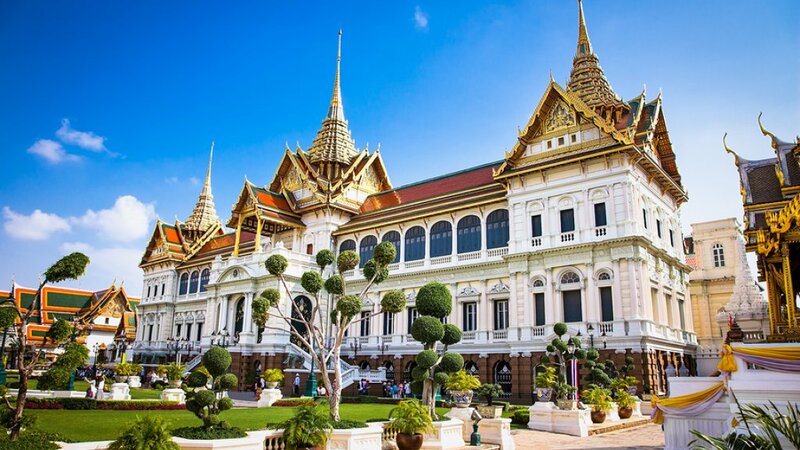 No visit to Bangkok would be complete without a visit to the dazzling Grand Palace. This spectacular structure is one of the most famous landmarks in the city and is open daily to visitors. Located in the heart of Bangkok, the Grand Palace is in fact a complex of buildings and has been the King of Siam’s official residence since it was built in 1782. It’s also been the home of the Thai King, Royal Court and the administrative seat of government for more than 150 years. Open daily from 8.30am to 3.30pm, the Grand Palace is a popular attraction located in Old City and costs 500 baht (approximately AU$20) which includes entry into the Grand Palace as well as Abhisek Dusit Throne Hall and Vimanmek Palace. It’s the intricate detail and impeccable architecture of this grand old dame that makes the Grand Palace so special. The awe-inspiring beauty is a tribute to the craftsmanship and creativity of the Thai people. The Grand Palace Bangkok is considered the spiritual heart of the Kingdom of Thailand and the palace complex features a number of impressive buildings including the Temple of the Emerald Buddha (Wat Phra Kaew) which houses the small but famous and widely revered Emerald Buddha dating back to the 14th century. Considered Thailand’s most important Buddhist temple, Wat Phra Kaew enshrines the meticulously carved jade Buddha in the Lanna school meditating position. Despite their proximity to each other, visitors will notice some distinct contrasts in the style of both the Grand Palace and Temple of the Emerald Buddha. The Temple is very Thai in style while the Grand Palace is much more European inspired. The impressive interior of the Palace is still used for important ceremonies such as coronations and also features the antique throne which was used prior to the Western one currently in use. One of the most sacred sites in Thailand, strict dress codes apply to all visitors. Men are required to wear shirts with sleeves and long pants. No bare feet are allowed, so any visitors wearing flip flops or sandals must also wear socks. Women must also dress modestly, so no bare shoulders or see-through clothing. If you arrive at the attraction ill-prepared, a booth at the entrance will provide clothes to cover you properly for a refundable deposit.